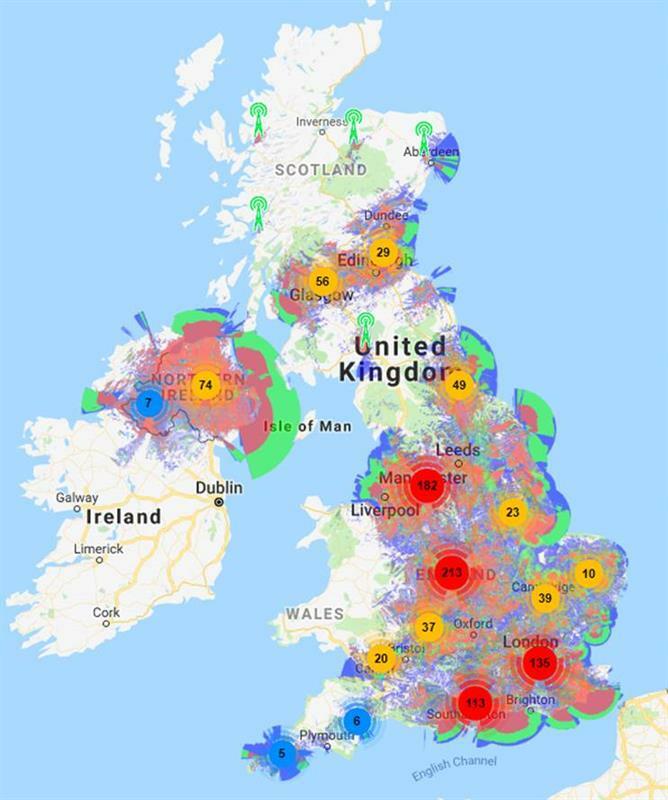 WNDUK, working in partnership with Sigfox, has today (1 November) announced that it has installed a total of 1,000 Sigfox base stations, which together provide more than 75 per cent population coverage for the low power wide area (LWPA) technology in the UK. WNDUK (which has 86 channel partners) is also working closely with Digital Catapult, which is promoting development and the early adoption of advanced digital technology. Joint projects include the siting of more than 100 Sigfox base stations in London, along the South Coast, in the North East of England and Northern Ireland, as well as activating Sigfox devices on the Things Connected LPWAN programme. “Our exclusive partnership with Sigfox underpins a significant boost in the quality and breadth of LPWAN IoT coverage across the UK,” said Tim Harris, WNDUK’s CEO. “This is an important milestone, achieved in a remarkably short timescale, and a significant addition to Sigfox’s rapidly growing global LPWAN IoT coverage footprint” said Kevin Maher, Sigfox country director for UK & Ireland. On 25 October, Sigfox announced that it now covers an area which represents 90 per cent of the world’s GDP, in five continents. In the same statement, it said that when Sigfox modules entered the market, they cost$12, fell to 2$ in 2016, and a $0.20 design "is now available on an industrial scale".